Turn off the lights.Turn on the lights. How does a "Light-Emitting Diode" or (LED) work? A light-emitting diode (LED) is based on the semiconductor diode. When the polarization of input power is correct and the diode is switched on, current flows from the anode (positive) to the cathode (negative). The electrons are able to recombine with holes within the device, releasing energy in the form of photons. This effect is called electroluminescence and the color of the light is determined by the energy gap of the semiconductor and materials used in its construction. LED's can come in various colors which are created by the materials used to manufacture them. For example, a white light can be created by using a blue LED and coating it with yellow phosphor or with a combination of RGB light (red, green and blue). An LED is usually small in area and it uses integrated optical reflectors and a lens to shape its radiated light pattern. LEDs are more energy efficient than normal halogen bulbs (around 90% less) and can cut the usage demands on an RV, boat or off grid housing battery bank. They may also cut the costs of rising electric bills for the average household. On average, around 90% of the electricity consumed by an LED is converted into light, whereas a standard bulb only converts around 15%. Although the initial cost is higher, the savings in battery power and long service lifetimes, typically 25,000 to 100,000 hours will more than recapture the cost outlay and even create savings in the long run. 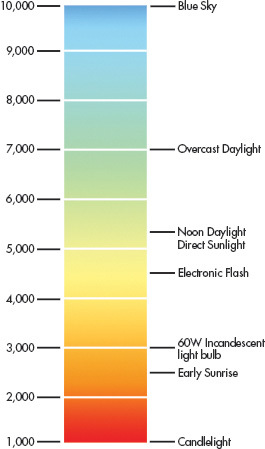 Good LED bulbs last about 60,000 hours, compared to a 1003 incandescent bulb which is rated to last 200 hours. The Filament based "LIGHT BULB" consumes more power than the light produced because large amounts of energy consumed by these bulbs go to the production of "HEAT". LEDs produce very little “HEAT", and do not use filaments. Thus, LEDs are much more efficient in consumption and output. Where is it appropriate to use LEDs? Starlights’ line of "Interior/ Porch LED Lighting" should be used where powerful directional light is needed such as interior dome lights, exterior porch flood lighting, interior lamp lighting, etc. Starlights’ line of "Exterior/ Automotive LED Lighting" should be used to enhance turn signal, running lights, interior dome lighting, stop lights, etc. Are LED`s good for the environment? LED's are very energy efficient and reduce carbon emissions. In fact, you may never need to buy a replacement bulb again, so no more throwing burnt out bulbs in the trash. They are also ROHS compliant and mercury free, unlike florescent bulbs which contain a high amount of mercury and phosphor. This can create a health hazard if broken inside a living area or if disposed of incorrectly. Can LED lamps be used in existing light fittings? The Starlights’ LED bulbs work in standard light sockets, but since they are powerful directional light bulbs, it is up to the customer to determine if the intended end use is appropriate for their individual needs. How to determine the lifetime of an LED? The lifetime of an LED bulb is determined when the electroluminescence has fallen to 70% of its original luminescence output. It should be noted that an LED bulb will continue to function after this time but at a reduced electroluminescence output. Do LED Bulbs give off any heat? "LED BULBS" by design use heatsinks, which absorb the heat and move it away from the LED and allow the LED to operate at its optimum temperature. So "YES", LED bulbs can get hot but nowhere near as hot as incandescent or halogen filament type bulbs. What lighting quality can be expected from an LED bulb? The higher the color temperature, the whiter the light is. A lower color temperature is more on the yellow side of white. This is important to you because you have to look at how light interaction will either compliment your interior, or might clash with it. The light can change even the color of what your interior looks like. Sometimes paint on a wall will look much different under one color temperature verses another. It should be noted that the lower color temperatures like 2700K, works well on objects that have earth tones, such as wood, leather or darker colors. The warmer colors "slightly yellow", will enhances those colors and keep that incandescent-like color. How exactly does the Smart Light® work? The Smart Light® is controlled by a microprocessor that contains hundreds of lines of programming, giving The Smart Light® its intelligence. The Smart Light® is designed for 12- volt applications such as lighting RV entryways and camping areas. Its low profile of 2 inches allows it to be mounted on any side of the vehicle. Installation is easy – the hole-pattern is the same as most standard lights. Importantly, The Smart Light® is reverse polarity protected which means that even if you install it wrong, it won't damage The Smart Light®. The Smart Light® can function as a normal entryway light, but what makes it better is that its functions expand to include motion detection, battery low detection, and daylight automatic shut off. To enter the motion detection mode, the light switch is turned on, then off, then on again within 15 seconds. This action tells the microprocessor to start working. If the light is turned off for more than 15 seconds, it reverts to the normal light function mode. What is the Star Monitor? Our Star Monitor is a state of the art coach battery monitoring system. Our microchip will “talk” to your coach battery continuously. If your coach battery tells our microchip that your battery is below 11.5 volts, the RED LED will blink and the light will no longer function based on motion. Thus, saving battery life, and helping you keep an eye on your power level from outside of the coach. Please note, if the Star Monitor detects a low battery, you will still be able to use the Smart Light® as a standard porch light. Where can I mount the Smart Light®? How does the Motion Detection Feature work? The Motion Detection Alert function, when enabled, will turn the main lighting fixture on any time motion is detected within the sensors range. During daylight hours, Starlights Inc. has made every effort to set the fixtures ambient light sensor to turn the lighting fixture off but in some cases when the fixture is mounted under the canopy or shaded by a tree, the lighting fixture may still trigger and energize the bulb. In these cases the lighting fixture will have to be turned off with the inside switch. The Motion Detection function can be turned on or off using the light power switch. Switching the inside switch to the on position will power up the SL1000 in manual mode. The fixture can be switched, while in manual mode, to auto sensing mode by simply switching the inside switch off and then on again. The fixture can be returned again to manual mode by switching the inside switch off and then on again. How long will the light stay on? If you have a Beta 1 light (brown box with or without a wrapped label), then the light will stay on for 15 seconds after the last motion is detected. If you have a Beta 2 light (4 color box), then the light will stay on for 60 seconds after the last motion is detected. What do the flashing LED’s signify? A GREEN LED = Unit senses that the house batter has a sufficient charge, it is nighttime, and the Smart Light® will come on when motion is detected. A BLUE LED = Coach Battery is sufficient; Unit detects that it is daytime and it will not be triggered by motion. A RED LED = Coach battery level is below 11.5 volts, signifying the RV has less than 30% of its power left. The coach battery must be charged before the unit will function as a motion light, though it can still be used as a standard entry way light. What type of testing has been done on this product? We tested the Smart Light® for well over two years before we introduced it to the public. It can withstand Arizona summers (185° F), Alaska winters (-40° F) and even a category 2 hurricane. What kind of warranty comes with the light? A one-year limited manufactures’ warranty is offered with the light. We also offer a 14 day money back guarantee. Is the light available in stores? >h3>Will the motion light come on while I'm driving? No. You can turn off the light using the inside switch the same way you turn off your current porch light. Will the motion light disturb my neighbors in a close camping setting? No. Our patented housing tilts to illuminate the ground, not your neighbor’s coach. Also, the sensitivity in the SL1000's field of view can be adjusted to approximately 10' to 25'. The Smart Light’s® electronics and software programming also help to make the Smart Light® sensitive to only people and not small animals or blowing debris. What kind of amperage does the light draw? This unit uses a standard 1003 bulb when activated, the light draws .9 amps p/hr. When in passive mode, the LED draws less than .007 amps. No power is drawn when off. Can’t I just leave my porch light on? Yes, as long as you don’t dry dock and you keep your converter turned on. Just please be respectful of your neighbors and remember, light bulbs burn out, so you still may come home to a dark coach. Can I get the light housing in any other colors? Yes, we currently offer the light in black. Also, we use polycarbonate in the construction of the housing to ensure our customers can paint the light any color they wish. What about an amber lens? Yes, please see our Additional Products page to purchase one. Will the light run down my battery? No. That is one reason why we call it the Smart Light®. It runs on a pre-programmed microprocessor much like what you find in a personal computer. It is programmed to automatically shut off when voltage drops below 11.5 volts for longer than 45 seconds, so that you will always be able to start your RV– even while dry camping! What if I hook up the wires wrong? The Smart Light® is reverse polarity protected, which means that even if you install it wrong, it won't damage the light. However, the light will only function in manual mode and no LED’s will blink. Just correct the wires and the light will work fine. How do I adjust the sensitivity from 10-25 feet? BETA 1 (brown box with or without wrapped label): By adjusting the unit’s dipswitches. The dipswitches are located on the circuit board mounted in the electronics compartment of the Smart Light®. Once the lens has been removed, access for adjustment is through the opening, with the dipswitches located below the light sensor and above the multicolored LED. BETA 2 (4 colored box): By adjusting the unit’s potentiometers. The potentiometers are located on the circuit board mounted in the electronics compartment of the Smart Light®. fixture. Once the lens has been removed, access for adjustment is through the opening, with the potentiometers located above the light sensor and below the multicolored LED. Note that the bottom potentiometer is for the right sensor, and the top potentiometer is for the left sensor. Adjustment of the Variable Resistors (Potentiometers) for sensitivity is clockwise to increase sensitivity, and counterclockwise to decrease sensitivity. When adjusting these resistors, take care not to touch the mother board, which could damage the unit and void the warranty. The Smart Light® fixture comes from the factory set at the most sensitive setting. Why does my light turn on so frequently? The sensitivity is probably set too high. Adjust your sensitivity. See Installation Instructions for more details. How does the light sense motion? PIR (PASSIVE INFRARED SENSOR); A note about this state of the art technology: These PIR sensors detect thermal mass. The internal micro processor “talks” to the PIR sensors in code. This code allows our Smart Light® to differentiate between a large thermal mass, and a small one (such as a cat, rabbit, small dog, etc.). When a small thermal mass is detected, the code tells the light not to turn on. When a larger mass is detected (i.e. humans, a bear, large dogs, etc.) the code enables the unit to turn on the light. However, thermal readings are dictated by outside temperatures. If it is hot outside, it is more difficult to pick up any thermal mass, and is thus necessary to come closer to the unit to turn it on. In fact, if the outside temperature is near your body temperature, the light may not detect motion at all. Likewise, if it’s very cold outside, the cold background makes it much easier to pick up any thermal mass, and thus the PIR sensors may detect an object further away than normal. Please keep in mind outside temperatures when adjusting sensitivity. What happens when I activate my light in auto mode? The Smart Light® performs a simple self test on power-up in manual mode. The unit tests the daylight sensor, the voltage level sensor and the two PIR’s. If you don't see a continuously blinking LED within 60 seconds of activating the Smart Light® in detection mode, the unit is either in manual mode (standard porch light mode) or there is a problem with the light. If a problem is suspected, please contact our engineering team at 800-883-5444. Do I need to buy batteries for this light? No. The light functions from the same 12 Volt power source as the current light. Is the Smart Light® easy to install? Yes! We wanted to make sure our customers could easily install the light, so it uses the same hole pattern as most standard lights, and it connects with the same two wires already installed. It also uses the same switch that is currently in your unit. If you are installing more than one, or your coach does not have a current porch light, feel free to contact our engineering department at 800-883-5444 for help.